Interested in the benefits of gel memory foam but looking for the support of a traditional innerspring? Serta’s new iSeries technology combines our revolutionary Cool Action™ gel memory foam with our Duet™ Coil Individually Wrapped Coil-in-Coil support system. This exclusive combination results in cooling, pressure-relieving comfort plus exceptional individualized support for each sleeper -- a true breakthrough in innerspring mattress technology. Whether you prefer a very firm or luxuriously plush mattress, there is an iSeries mattress model built to meet your comfort needs. Visit your local Serta iSeries retailer today to find the one that’s just right for you. Plus, every Serta iSeries mattress is compatible with our Motion Perfect® Adjustable Foundation, for a totally customizable sleep experience. Is iSeries the right bed for you? Based on 3,103 real owner experiences with this brand. How do people like you rate their Serta iSeries mattress? Mattresses are personal. Filter the 3,103 Serta iSeries ratings by sleep position, weight, age, gender and more to find the ones that are most relevant for you. The Serta iSeries line is recommended by 57% of owners on GoodBed (based on 3,103 ratings + 43 reviews). 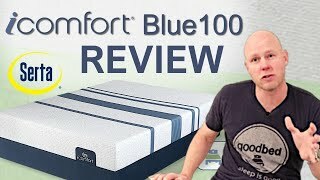 Want more reviews from Serta iSeries mattress owners? Do you have a Serta iSeries mattress? Write a Review! Have a question about iSeries bedding products or stores? Mattress Thickness: 9.50" to 17.30"
Note: The product line specifications above were derived from the active Serta iSeries models listed on GoodBed. As a result, these details may not be comprehensive and may not apply to all Serta iSeries models. If you are seeking specifications for a particular Serta iSeries mattress, please search for that mattress by name on GoodBed, or check with your local Serta iSeries dealer. The iSeries product line is a collection of mattresses released in 2012 that is manufactured by Serta. 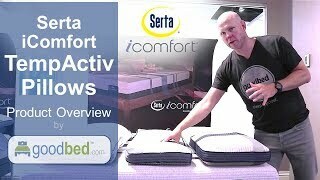 Have an update or correction to our information about Serta iSeries? If so, please take a moment to suggest an edit. Showing stores with Serta iSeries products nearest to Fairfield, CT. Call store first to confirm availability.